Termites can cause a lot of damage to your home and can affect the structure of your house as well. Here are a few methods that are used to control and exterminate these termite problems from people’s homes. When highly-active termite areas are located in a termite inspection, slow-acting baits in bait stations are placed in those places and the worker termites will bring back the bait and feed it to the other members of their colonies. Although using bait stations is very efficient at removing the termite colonies, they are slow to act and the stations may not work quick enough to control very dense population infestations. Liquid insecticides may then be used in those situations to address the area having a major termite problem. In certain areas that are not suitable for termite pesticides like near bodies of water, termite baits are used to control the problem area. Another method of termite treatment is a wood treatment. Wood treatments can kill current termite colonies and also prevent them from eventually sprouting up. This treatment includes injected foams and sprays, surface sprays, and borate treated wood. 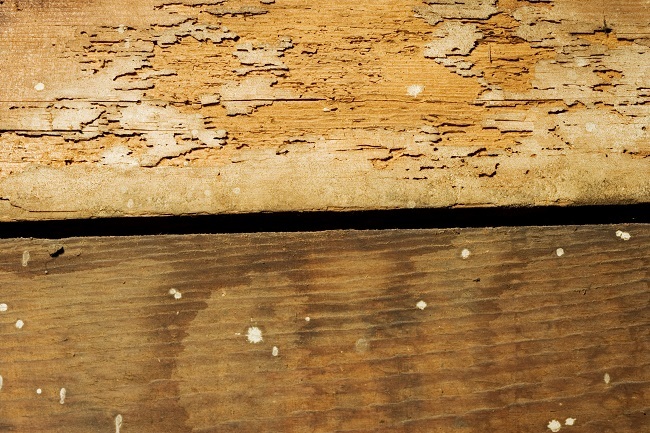 Borate wood treatments prevent any possible infestations and eliminate existing ones. Surface applications are used during the construction process of building a home and then the foams and wood injections are used after the home is already built. Another method to take action in controlling a termite problem is to do a soil treatment. Concealed and hiding termites take place under the soil, which is why soil surrounding the area is treated to act as a protective barrier from the termites. The first step done is to dig a trench surrounding the home or foundation, and then the soil is treated with a termite pesticide product. Afterward, the trench is then refilled with soil. This kills the termites coming from the house and trying to return to their nests as well as preventing future termite issues. This termite pesticide option gives you much faster results and lasts you a few years. Homeowners experiencing termite problems can help with their termite issues by limiting the termites sources of foods like wood piles and repairing their house’s plumbing and leaks. This can control existing infestations as well as preventing possible infestations from occurring sometime in the future. If you have any questions or concerns on these termite control options, please feel free to reach out and contact us or schedule your termite inspection today.